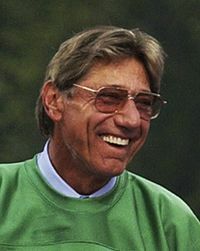 Former Alabama and New York Jets quarterback Joe Namath has never been one to hold his tongue especially when it comes to his former team the New York Jets. So it should come at no surprise that once again Namath is giving his opinion on the Jets quarterback situation. Namath thinks that Tim Tebow should start over current starter Mark Sanchez. “We can go right to the Tebow thing. I mean, come on,” Namath said. I'm sure this didn't sit well with head coach Rex Ryan or Sanchez, but why not start the guy who gave the Denver Broncos a spark last year and got them into the playoffs. It cannot get any worse then what they have going now. To read more of what Namath had to say, check out this link from Fox.